Easy to read, scan and digest; it’s no wonder that “listicles” are so popular. For the uninitiated, listicles are articles formatted as a list. One of the first published was probably the Ten Commandments (it was even formatted for tablets). They can also be found in magazines at the grocery store checkout line and everywhere online. So, why do we prefer to read them instead of other types of articles? The first headline could be anything. You could be jumping into a borderline thesis on the complexities of pizza or it could be a single paragraph. The one thing it has in common with the second headline is that it could pique readers’ curiosity. The second headline however, has exactly 19 things about pizza. It’s safe to assume that the article is a type of list. And as with any list, it should be easy to read and take little to no time to finish. When we’re pressed for time (and who isn’t?) this type of article draws us in by simply having a number in front of it. Even if you’re not in a hurry, having a list helps our brains process information. We don’t have to think while reading a list. The writer has already curated the “important” information. We don’t need to look for it embedded in paragraphs or sort out the information. That kind of effortlessness is what our brains crave. This craving is backed by the principle of least effort theory. This theory generally is supposed to govern linguistics, but I believe that it translates to our everyday lives as well. In addition to these reasons, it satisfies our natural curiosity. There are 19 things I probably didn’t know about pizza. Or I might feel validated that there are some things I did know! If you add a number in front of your headline, it feels more like this list is factual. Regarding ranked lists (such as the Billboard 100). A study published by the Journal of Consumer Research in 2013 titled: The Top-Ten Effect: Consumers’ Subjective Categorization of Ranked Lists; found that consumers find jumping from 11 to 10 more favorable than a jump from 10 to 9. The study attributes this phenomenon “occurs because round numbers are cognitively accessible to consumers due to their prevalent use in everyday communication.” As marketers, we should keep this study in mind when we generate content for ourselves or clients. These are just a few of the reasons listicles have higher click-rates than traditional articles. Anyway, who’s hungry for pizza? You are reading the listicle version of the Psychology of Listicles! Below are five reasons listicles are popular among the masses. If you are still wondering what a listicle is at the end of this article, you can read a more in-depth explanation here in the traditional article version. You know exactly when the article will end. The format is easy for our brain to process. We can skim a list and still get every bit of information from it. Satisfies our curiosity with little effort. The Disappearing ATM: What Does it Mean for Bank Marketers? There’s been a lot of talk the past several years about declining ATM usage. In fact, the Minneapolis Star Tribune recently did a piece about how banks are considering not renewing their ATM contracts at MSP airport due to a lack of profitability. US Bank, for one, is poised to lose hundreds of thousands of dollars a year on its 17 airport ATMs. The main reason seems to be the increasing popularity of electronic-based payment methods: debit cards, credit cards, Pay Pal, Apple Pay, etc. In fact, only seven percent of all US financial transactions are cash-based. While there’s still a need for cash, physical currency is definitely losing momentum. What does this have to do with your bank marketing? Before ATMs, people frequented their local branches. They maintained regular human contact, helping to solidify relationships and build the loyalty that’s so essential to business success. ATMs drastically reduced the need for branch visits, but banks were still able to maintain an important touch point for regular customer contact. The fee structure, network, and location of ATMs gave customers a reason to choose one bank over another. Now, as ATMs start to go away, banks have a bit more of a marketing challenge. Beyond having a logo on a plastic card, how can institutions create a brand experience that builds loyalty, relationship, and connection to their customers, when many of the ways they used to connect have become obsolete? These days, 90% of all media interactions occur via some sort of electronic screen. Which means banks need to embrace the online experience like never before. Consumers have already come to expect a seamless online/offline/mobile experience from the companies they interact with. Financial institutions are no different. Sure, products and service still matter. But the days of sitting back and waiting for your customer to come to you are over. More and more, people want to engage with brands on their terms—wherever they are and whenever it’s convenient for them. For brands—including financial institutions—it’s all about finding ways to be part of their customers’ everyday lives and add meaningful value. To stay relevant in a growing digital world, banks need to expand their thinking in regard to customer interactions. Omni-channel banking is about creating a complete customer experience across all online and offline media, creating consistent interactions with the brand across all touch points. Because banks retain vast amounts of data that allows them to measure and analyze these interactions, they can keep improving the customer experience based on user preferences and behaviors. This gives banks a significant opportunity to create a unique brand experience to help distinguish them from the competition. Mobile—Apps and SMS banking are growing like crazy. Offering these services is an essential part of delivering a complete customer experience. Social media—Used not only for conveying information and sharing feedback, but also for certain kinds of financial transactions. The full potential of this powerful medium is still evolving. Video—Some major banks have begun installing video conferencing facilities in their branches, creating a new way to offer high-level personal service, no matter where their customers are. Providing a complete omni-channel experience remains a work in progress for most financial institutions. But those who have embraced it have already experienced excellent results. When done well, omni-channel strengthens relationships, improves the customer experience, and increases company profitability. While physical branches and ATMs aren’t going away anytime soon, it’s clear that to satisfy customers’ needs and keep them loyal to your brand, an omni-channel approach needs to be an important part of every institution’s long-range plan. I read this article the other day in Adweek and was struck by how closely it hit home – executives want to work with companies that care about culture. We have a passionate group at d.trio. We fight. We duke it out over the smallest details sometimes. We don’t hate each other at all – we have a culture that allows for a difference of opinion and there’s a knowledge that we’re each looking out for our clients’ best interest – then go hang out together and laugh. Ours is a culture that believes. Is this a more difficult way to do business? You bet it is. But is it the best way? Of course, and it’s the only way we know how. We love hearing about what works in other companies. Please share with us here or on our Facebook page what you believe in. 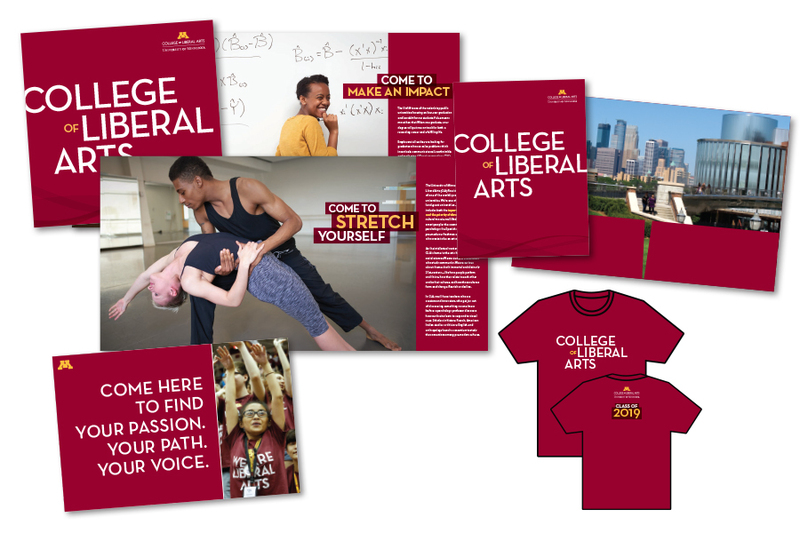 The University of Minnesota College of Liberal Arts (CLA) engaged d.trio to re-imagine and update their view-book and other elements of their admissions promotions including direct marketing, promotional gift items, and more. d.trio developed a creative look and messaging that capitalized on the student values of CLA: Responsibility, Creativity, Compassion and Opportunity. Leveraging the tag line “Come Curious” d.trio developed messaging strategies that can be used across different elements, creating a feeling of community and continuity. We helped the CLA find their voice to the potential student population and created a branded view-book and other elements that are aspirational, engaging, bold yet authentic – highly relatable materials to encourage the young student audience to apply. Is The New Logo No Logo At All? Coca-Cola is one of the most iconic brands and logos of all time. There is no disputing this, even when written in different languages, it is instantly recognizable across the globe. Today, after a successful, “Share a Coke,” campaign…which saw a variety of names on the packaging, I came across something I never could have imagined. Gone were all names. Not just VIP, Showstopper, Karen, Dad, but even the name Coca-Cola itself. The names and labels were dumped about as fast as a 72-day Kardashian wedding. 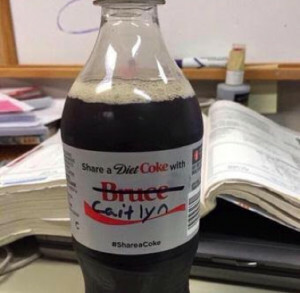 Coca-Cola states it is removing names, even it’s own, in attempt to get the world to see without labels. Wow that’s deep, I mean, commendable. Then I got to thinking, wait a minute, what if a company came to me and told me they wanted a website without a logo. Would that even be possible? I’m starting to get anxious about a completely hypothetical situation but, what if? I place blame on Pininfarina, the design firm better know for its car designs for Ferrari, Alfa Romeo, Maserati, Fiat. 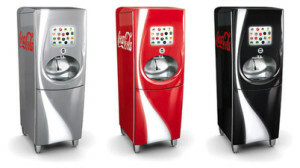 They worked with Coca-Cola to design their Freestyle soda machine. Don’t get me wrong, they did an exceptional job, even won a 2011 Good Design Award. However when you look at the sleek soda machines, they foretold of things to come in design. 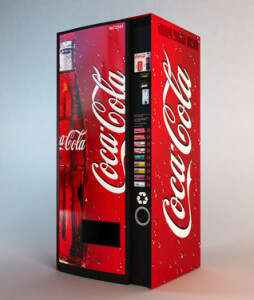 The Coca-Cola logo for example was placed on the sides of the machine, rather than the front. On the front, besides what I’m calling the Coca-Cola swirl, was a very, very, small logo. Interesting to compare it to the pop machines I remember back in high school, which were nothing but logo top-to-bottom. 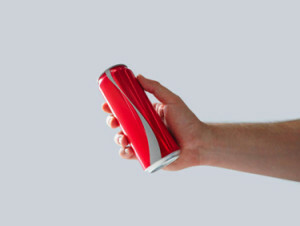 Based on Coke’s recent bold move we wonder if logos and brands are evolving in a way that will make them minimal, clean, flat, almost secondary. The evolution of Twitter’s logo from cartoon bird to its current format is another great example. How these smaller and minimal logos will translate over to web design and its aesthetic appeal remains to be seen. I guess I shouldn’t lose any sleep over it, yet. No logo? Guess that’s not all that different when I request current digital assets and get informed there aren’t any. Just over a year ago, Sheryl wrote a blog about her new stand-up desk. Well, actually, it was an attachment to her traditional desk that allowed her to lower and raise her monitor and keyboard. She listed all the health reasons it was important for her to work standing up and I whole-heartedly agree with everything she said. Read her blog here. Before I came back to d.trio, I had several different iterations of stand-up desks, too. One was a duo of high-quality adjustable-height wood platforms that sat on top of my desk that held my monitor and keyboard. Another was a big heavy piece of black plastic that served the same purpose, but had a bit more surface space. There was also an adjustable desktop that was raised up and down with a hand crank (super old-school, but quite effective). I am happy to say that, today, I have the mother of all stand-up desks. It’s has a wooden, full-desk-size surface perched on heavy-duty legs, and the whole thing rises and lowers with the push of a button. No more moving my laptop from one place to another so I can sit down. No more hand crank. No more reaching down to a lower surface to get to my papers (yes, I still use papers). I love this thing! When someone stops by my office to look at something on my screen, it’s already at eye-level. There’s no need for them to crouch awkwardly over my shoulder or move a chair around to sit. When someone stops by my office to chat, they sit in the chair on the opposite side of my desk, and we wait 30 seconds for my desk to lower so we can both sit and discuss an important client project (or rehash the events of the weekend). When I’m super busy and running around to grab things from the printer or looking for someone to make some fast-turn edits, there’s no need to get up and push my annoying chair out of the way. I simply bolt out the door. I know we’re not saving lives, but those seconds can be crucial when trying to meet a deadline (or meet some friends for happy hour). A laptop, a monitor, computer speakers, a lamp, my water glass, a coffee mug, piles of folders, and a mish-mash of other miscellaneous things I need to get through my day, all move with me whether I’m standing or sitting. It’s like having a personal assistant making sure I’m always comfortable and working efficiently. While standing, with just a slight turn of my head, I can see the progress being made on the new brewery right across the street. I’m fortunate that my company values my health and happiness enough to provide me with such a great tool. If yours does too, check out http://standdesk.co/. 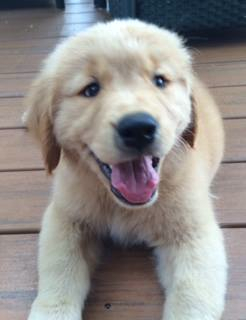 Happy standing! I wasn’t in the market for a ChapStick, magazine, ginger & lemon peel flavored bottled water, or VerMint’s organic mints. Frankly I don’t need these things. Rather, I’m bored and waiting to check out at Whole Foods. As you probably know, every product in a store is carefully placed to create maximum appeal – whether it’s the sugar-laced cereal at children’s eye level or the items you find carefully staged for impulse-buys at checkout. It can be argued that the only better place to study marketing and human psychology, besides your friendly grocery store, is Vegas. Well, let’s not rule out the digital marketplace. This marketing and psychology mindset is something that the tech giant Google knows, has studied and even excels at, but I’m losing confidence fast and here’s why. Today Google unveiled a new feature for their mobile search ads, called Purchases on Google, allowing the consumer to purchase from ads. This feature has been a long time coming with the Wall Street Journal first reporting about it in the spring (Google even confirmed it). So what exactly does this mean and how does it work? The mobile ads you see will have a “buy-now” button. This button will allow you to quickly purchase whatever product you’re interested in, directly from the merchant (not Google), using mobile ads. Hmm… So let’s take a closer look at this idea. Hypothetically, I’m up north in the Boundary Waters and magically able to get a signal on my smart phone. I’m also getting eaten by mosquitos (our state bird here in Minnesota) and desperately searching for an on-the-fly (pun intended) remedy. When “auto-magically” an ad for OFF bug spray and mosquito repellent pops-up on my mobile device with a buy-now button. Great! Just what I need! (However, it’s still a little creepy that Google is using location services on my phone, coupled with my search history to serve me an ad that knows this much.) So I click on the buy-now button and what happens? The product then ships to my house in 24 hours. What good is it going to do me there? See that’s just the thing with impulse buys; typically they take little thought and are for immediate consumption and enjoyment. 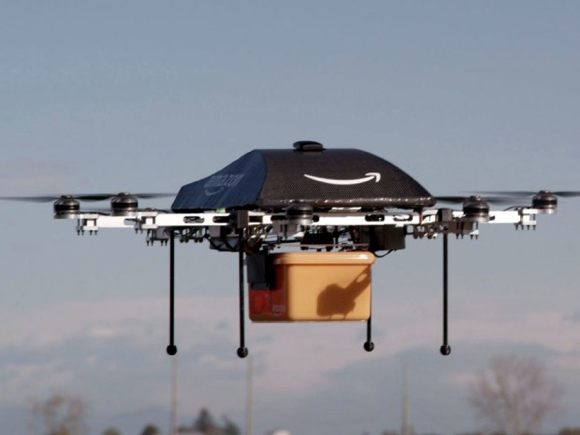 I think the fear of missclicks, and the fact that drones aren’t buzzing around to deliver products instantly will keep most consumers from using this feature. It might be a great way to get people to load up an online shopping cart but I’m very skeptical they’ll complete the purchase on their mobile device, via ad. This is very much the cart before the horse scenario; people aren’t ready just yet, like with Google Glass. 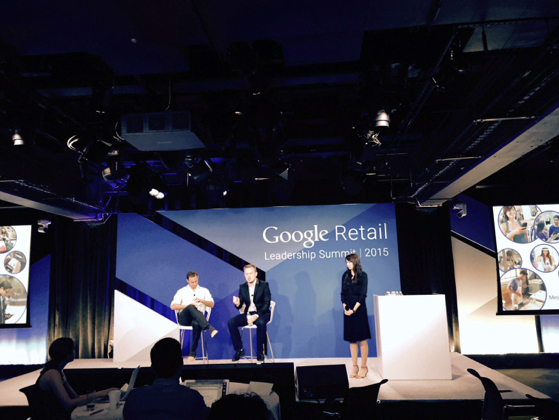 At the press event held in NYC today, Google said they are working with only “a dozen” or so retailers with this feature in beta. The grand plan is to roll this out to advertisers in the United States by late 2015 or 2016. Well Google if that’s the case, I’m expecting drones to deliver my impulse purchase in real time. As much as I would like to see that happen, I don’t think the stars will align along with the Federal regulations in time. Sorry Google, this is a great idea on paper, but in terms of execution I give it an F for now. We are a want-it-now society based on instant gratification and the buy button for impulse buy ads seems way too early. You still need to clear the hurdle of getting people to adopt Google wallet, or store their payment information in their devices. As an expert in SEM as much as I want to get excited about this, I don’t see it picking up traction prior to 2017 or 2018. Until then, I’ll keep my impulse buys in the checkout line (or eBay).